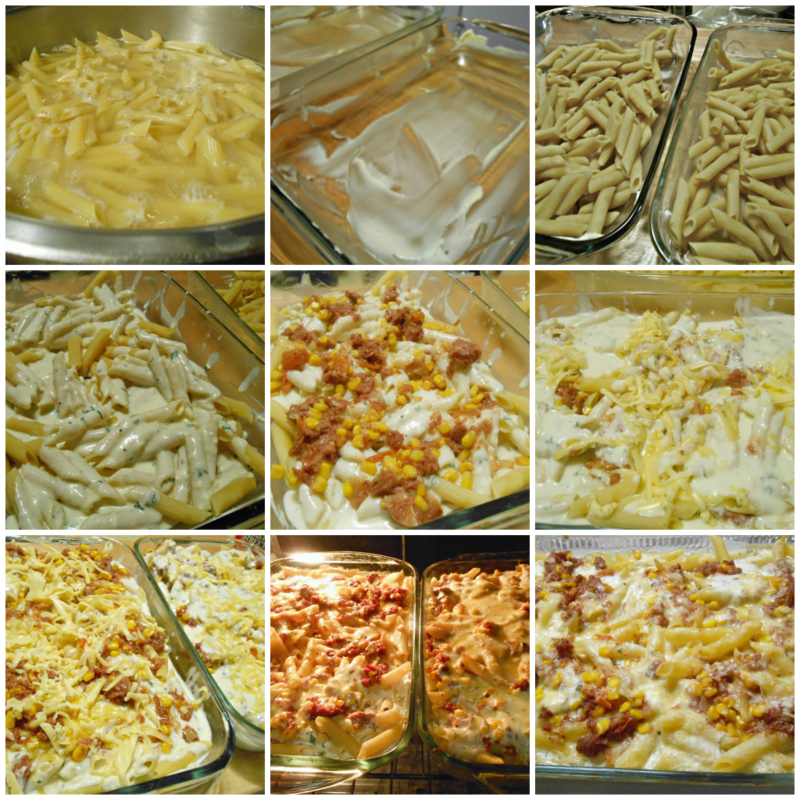 The recipe has been with me for a long time but I never had the chance to make this pasta dish till a year after. Don't laugh now, I know I'm guilty of planning on making certain things but ends up making something else. At least I try to make up for it even after a year.. lol. 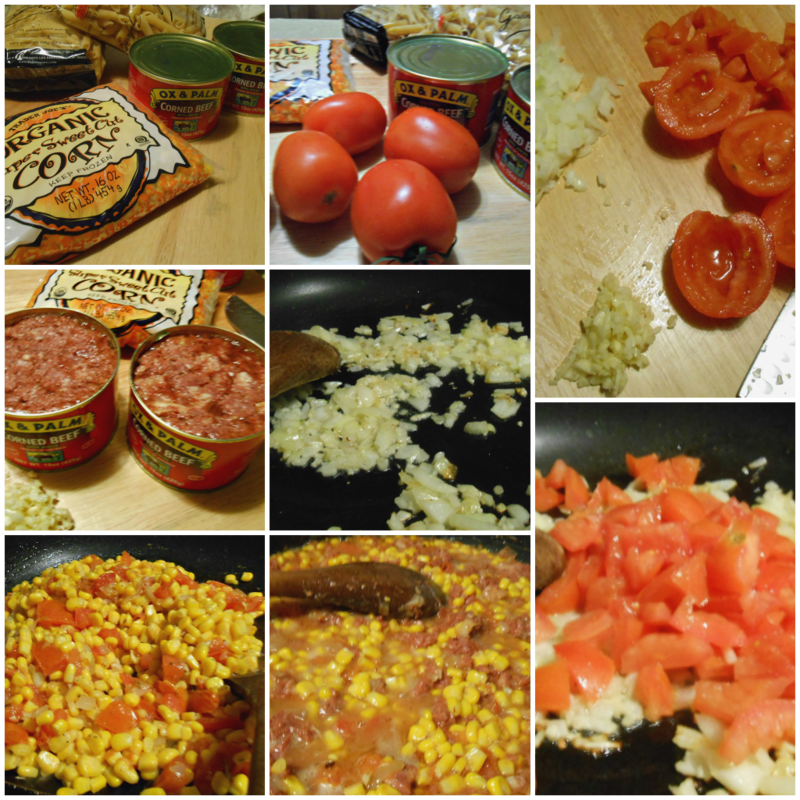 I was interested because I found out that this is what the late Philippine president Cory Aquino used to make for her son Noynoy who is the current president of the Philippines; and it has three of my favorite foods- pasta, corn and corned beef. 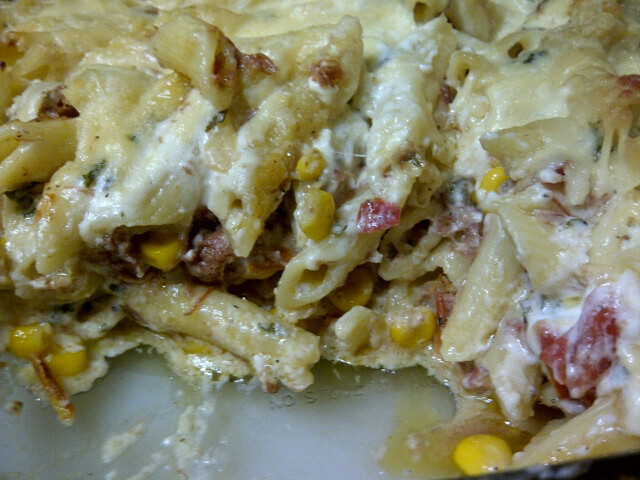 When I made it the first time, I didn't change the components except for their brands and added red pepper flakes just to cut down the richness of the béchamel sauce and it was so delicious. Well you can already tell just by the recipe. 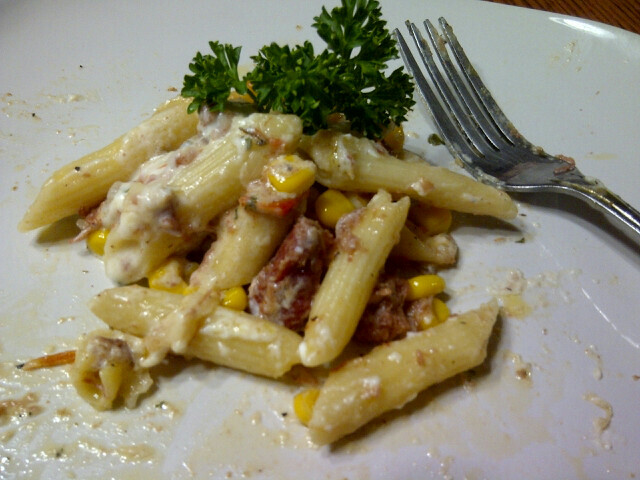 It is the perfect mix of the al dente pasta, creamy and cheesy béchamel sauce, the tasty and chunky corned beef with a hint of sweetness from the organic corn and tomatoes plus the fresh herbs- how can you go wrong? These are pictures from the first time I made it- I could have blogged about it but my pictures were not complete. This is a good recipe and easy to prepare. I feel blessed that my preferred ingredients like Ox & Palm corned beef and organic corn are always available in the market so it makes everything easier. The original recipe uses spaghetti or linguini but I opted to use penne because the short rigged pasta absorbs more sauce thus making it more delicious. 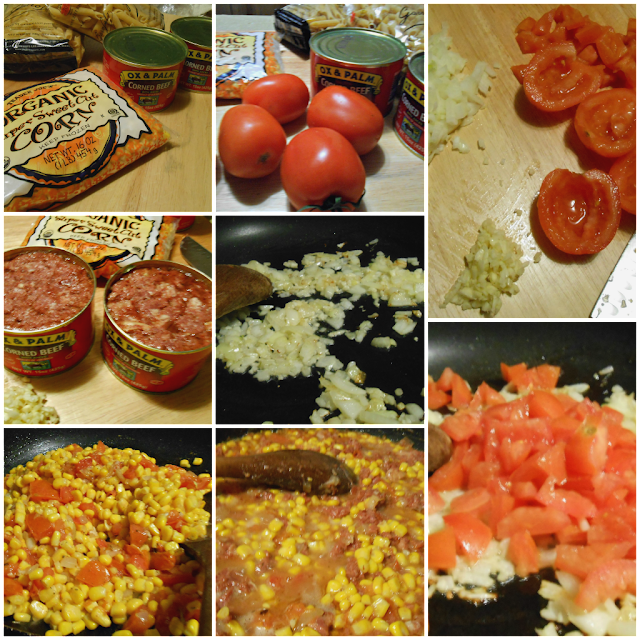 Add tomatoes and Italian seasoning. Add corned beef, cook for five minutes. 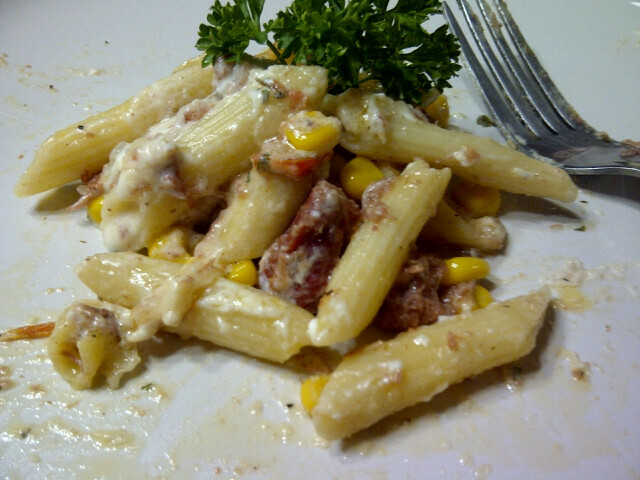 Add cooked penne and toss. If you find the mixture too dry, add a little bit of stock or pasta water (water where you boiled pasta). Remember, sauce is supposed to coat the pasta alone; not swim in it. Transfer pasta to a buttered baking dish. 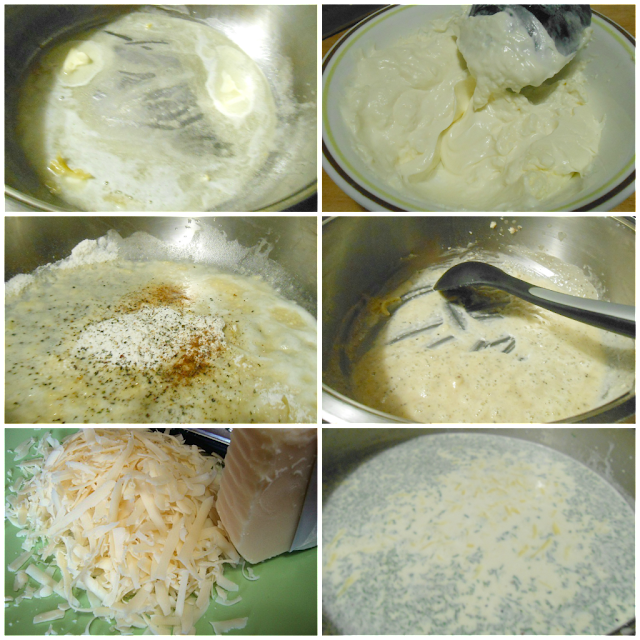 Top with cream cheese béchamel. Sprinkle with grated Mozzarella and grated Parmesan. Bake in a pre-heated (350°F) oven for 30 minutes or until cheese has melted and the top slightly golden. To garnish before serving: Sprinkle freshly cracked pepper, add bits of crisp fried corned beef and chopped parsley. Notes: when making a roux, flour and fat should have the same ratio. I sprinkled the ground nutmeg atop the flour to toast them together. 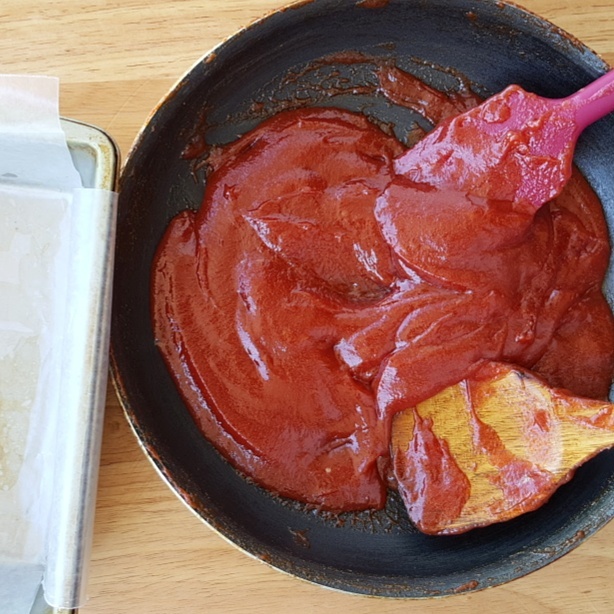 Melt butter in a sauce pan over medium heat. When the butter melts and turns frothy, sprinkle the flour evenly and stir with a wooden spoon or a whisk until it becomes a paste. Add milk and cream cheese and continue stirring until all the lumps are gone. 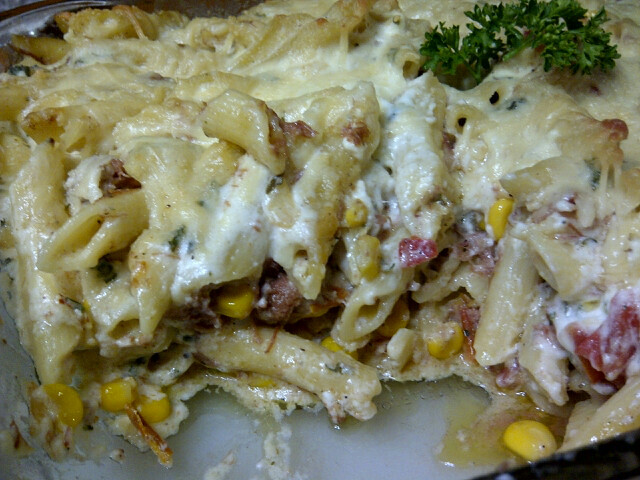 Notes: I did it lasagna layer style: pasta then béchamel sauce on then topped with corned beef then another layer of pasta-béchamel sauce-corned beef then with grated cheese on top. I used smoked Gouda only because I have it but you can use Mozza or fresh Parmesan cheese.